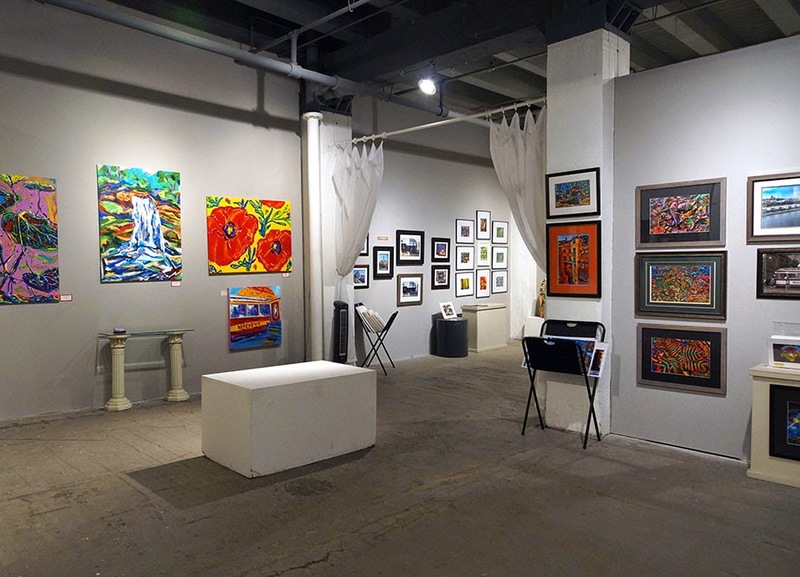 The AZ Gallery is located at 308 Prince Street on the first floor of the historic Northern Warehouse which was built in 1906. It is next door to the Black Dog Wine Bar & Café and across the street from the St Paul Farmers Market. It opened in 1997 as an artist cooperative and is owned and operated by 10 artist members. The gallery exhibitions change monthly and typically involve an exhibition organized by one of the members, in conjunction with one or more guest artists. 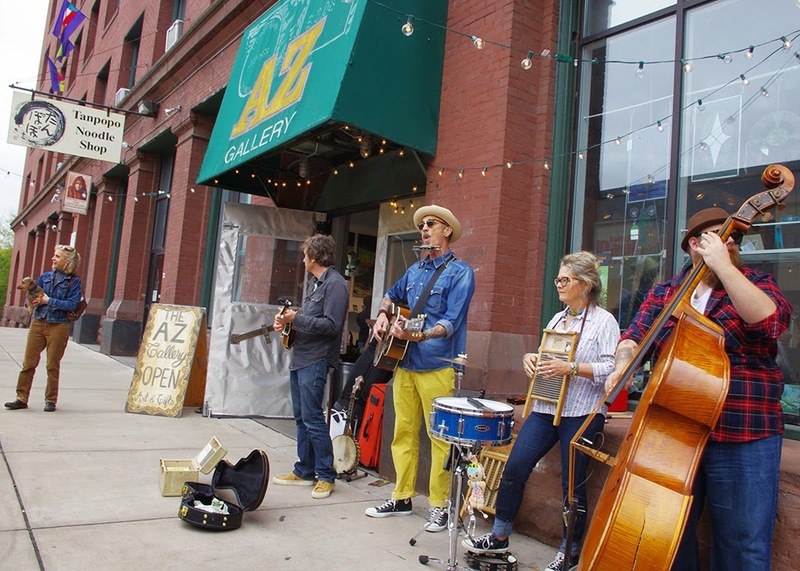 In April and October, the gallery is dedicated to exhibits for the St Paul Art Crawl and we have some regular shows from year to year including the 100 Best High School Artists Show sponsored by the St Paul Jaycees in March, the St Paul Almanac Book Release Show in September and the Lowertown Art Show in November. Our website, www.theazgallery.org contains information about applying for membership. 10 is our maximum number of artists who do 2D wall art but we might consider adding an artist who does 3D work. Artists pay an annual fee, a 20% commission on work sold and agree to work 9-12 hours a month in the gallery. The gallery also has a gift shop where members and guest artists sell locally made items such as notecards, calendars, pottery, jewelry, prints, umbrellas, soaps, purses, glass boxes & paperweights. Artists are invited to apply to sell their items in the gift shop and at our December Holiday Bazaar. There is a 40% commission for non-members. We also have space outside the gallery that we rent for $20 a day or $30 a weekend (June-Sept) called the Summer Market where artists can sell their work in an art fair like setting with no commission to take advantage of the crowds at the nearby Farmers Market. The gallery is also available for rental for weddings and private parties. Our next show at AZ Gallery is called "50 Shades of Red 2" and is a follow-up to our popular "50 Shades of Red" show last February for Valentine's Day. Members were allowed to invite 3 guest artists apiece and the idea is that all of the works of art on display would contain a shade of red as a predominant color in the piece. The show runs Feb 5 - Feb 22. An opening night reception will be held Friday, February 6th from 5-9 pm as part of Lowertown First Fridays. 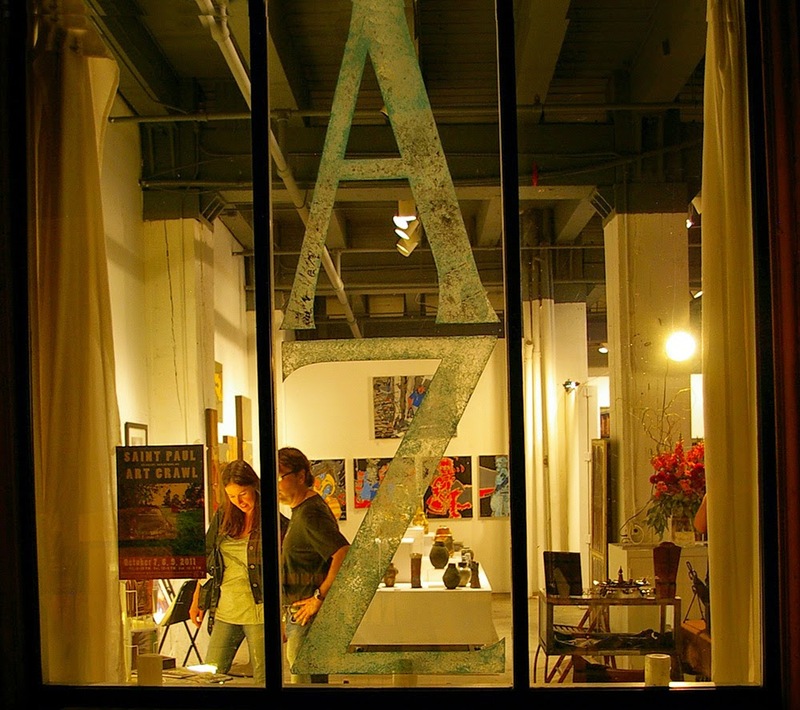 AZ Gallery is open Thursday and Friday nights from 5-8 pm and Saturdays and Sundays from 9 am to 3 pm. Make friends with one of the established artists in the gallery and they can bring you in to an exhibit when guests are allowed. Aside from the gift shop, prices for framed art range from $50 to $2000, with most in the range of $95 - $500. You can get some wonderful pieces at very reasonable prices by buying and supporting local artists and since our gallery is run by the artists, you also get to meet them, get to know them and follow their careers. It makes the experience much more personal.